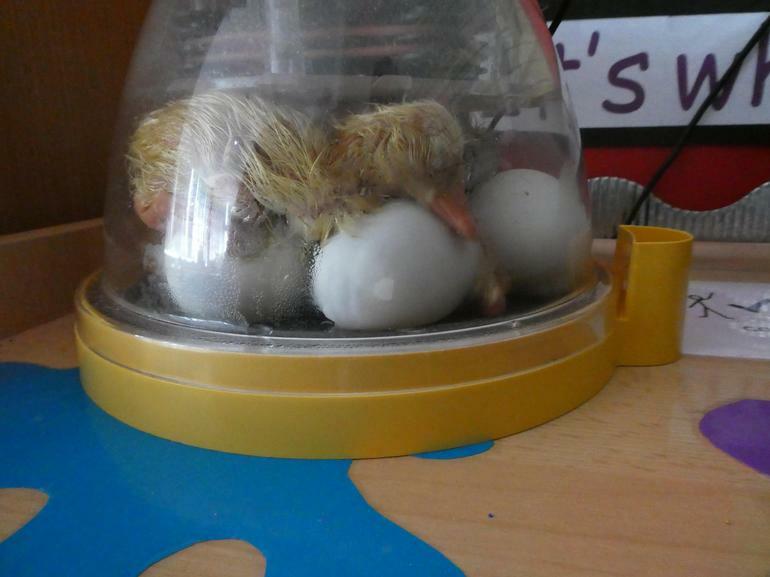 Our ducks are starting to crack out of the shells! 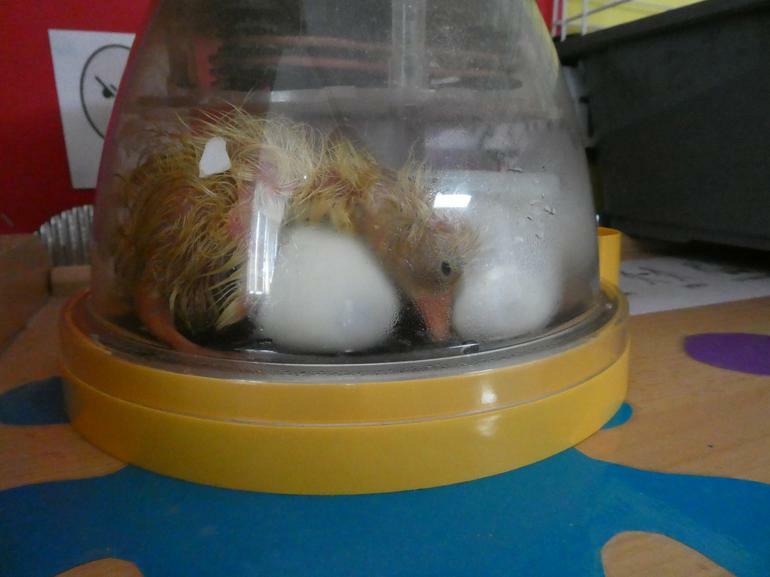 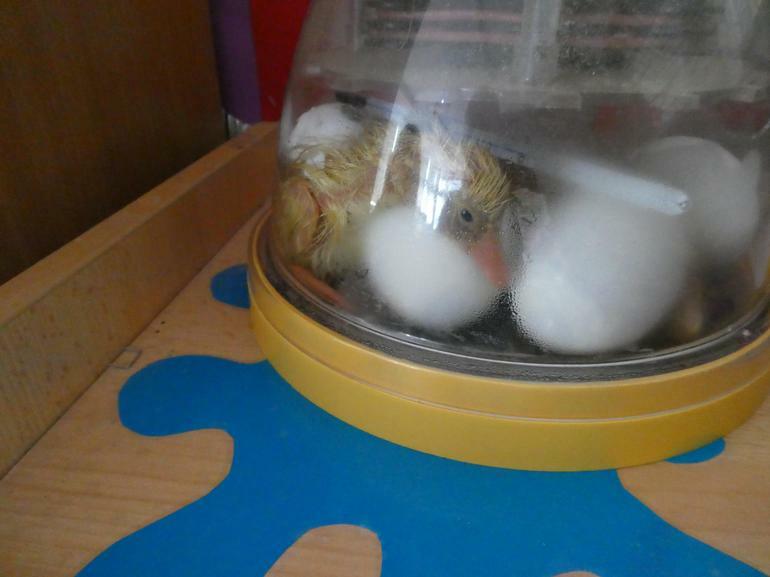 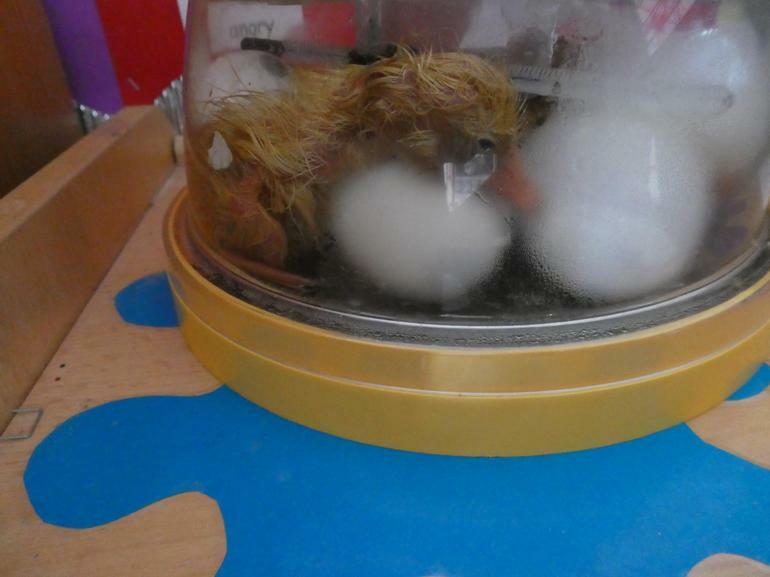 Today we have live (and noisy) ducks being born in reception. 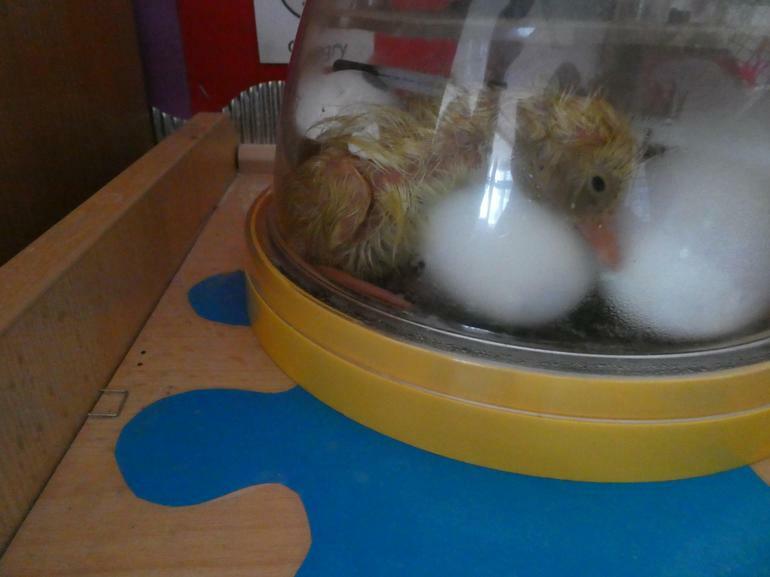 The children are visiting them, and they will be moved from the incubator to the cage after six hours.